In early November, Illinois issued for public comment a draft of its transition plan. The plan listed all the facilities in the state that it believed should be subject to “heightened scrutiny.” Misericordia’s DT program was one of the facilities on the list. The reason the state gave for subjecting Misericordia’s DT program to “heightened scrutiny” was that it was located on a campus and was close to Misericordia’s ICF/DDs. We immediately asked all of our families with a family member living in a Misericordia CILA (these are the individuals receiving “waiver” funding) to submit a public comment to HFS explaining how Misericordia’s DT program does not isolate their family member from the broader community. We asked each family to include in its comment: all of the activities their family member engages in both on and off campus to show how full and integrated their life is. We asked the families to explain that their family member was engaging in the employment opportunities and other activities they choose. We also had the families point out that the state was applying the wrong standard in deciding that DT should be subject to heightened scrutiny. We explained that the rule (quoted above) does not require heightened scrutiny just because a setting is located on a campus and is close to an ICF/DD. In fact, the CMS rule says nothing about location. Instead, heightened scrutiny is limited to settings that isolate individuals. By having each family explain how their family member is not isolated, we were able to show that DT did not come within the settings that required heightened scrutiny. Of course, as we consistently say, nothing is better than a tour of Misericordia to show our public officials the excellence of Misericordia’s programs. Therefore, in addition to having our CILA families submit comments, Misericordia board member Phil O’Connor invited Felicia Norwood, Director of HFS, to tour Misericordia. Director Norward and several of her staff members came to Misericordia right before Christmas and spent a couple of hours touring the campus and meeting with the executive team. In addition, Director Norwood brought with her a CMS representative from CMS’s Chicago office. We were able to show HFS and CMS all of the employment opportunities on campus and show how in each case our residents have extensive interaction with members of the broader community. On that particular day, there were a large number of volunteers working in the bakery alongside our residents to fill all the last minute Christmas orders. We were also able to show our government officials the excellent training programs that DT offers our family members and we explained how these programs and the on campus employment opportunities are designed to help prepare our family members to obtain and retain off campus employment. We shared a number of success stories of family members transitioning from DT to community employment. All the hard work paid off. 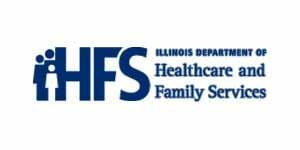 On February 1, HFS issued its revised transition plan. Misericordia’s DT program is no longer on the list of settings requiring heightened scrutiny. We were always confident that even if DT remained on the list we would be able to show that DT “does not have the qualities of and institution.” However, we are very grateful that our state officials recognized that DT does not isolate our family members and took DT off the heightened scrutiny list. Once again, when called to action, our families came through. Their heart-felt and insightful comments about their family members’ experiences at Misericordia and Phil O’Connor’s hard work on behalf of Misericordia to bring Director Norwood for a tour achieved a very important result for Misericordia and its families. I have no doubt that we will have to call on you again to beat back further challenges to Misericordia’s programs. But I also have no doubt that you will respond and together we can successfully face each challenge. Comment by Mary Pat O'Brien: "Scott didn’t mention his role. He was key to pulling this all together and drafting a beautiful letter that shows how much we are a community."